Lil' Inker: Lil' Inker New Release Hop: Mini Pinhweel Die Day One! Lil' Inker New Release Hop: Mini Pinhweel Die Day One! I could hardly wait to tell you about our new Mini Pinwheel Die!!! It's something our customers have asked for and it's finally here!! If you love our Pinwheel Die you are going to LOVE THIS! 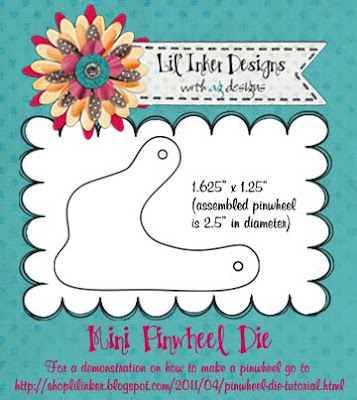 The Mini Pinwheel Die is 25%smaller than but still has all the cuteness of our Original Pinwheel Die and assembled yeilds a pinwheel approximately 2.5 inches in diameter. It is the PERFECT size for gift tags, yet still large enough to be the focal image of a standard A2 size card. AND we happen to think it makes the PERFECT "leaf" to our brand new Fringe Flower die! It's certainly a versatile little die and perfect companion to original Pinwheel Die. Here is a great side by side comparison between the Original Pinwheel Die and our NEW Mini Pinwheel Die fully assembled and embellished. Do you love it? Are you so excited! I AM! I made this really fun banner to share with you today. It looks SO CUTE hanging over my crafty desk in my office! It was a little difficult to photo so here are a couple of different shots. The project also features our Sentiment Flags Die. Our Designers have some GREAT projects to share with you for today featuring our brand new Mini Pinwheel Die. Here in order is a list of our participating designers for today's hop! What I am also so super excited to tell you about today is that we are now offering all of our Pinwheels products INDIVIDUALLY! Woo hooo!! I can hear you cheering! Our customers have been asking for this for some time now. You can CLICK HERE to check out our new Mini Pinwheel Die which retails for $5 plus applicable shipping and handling. Don't forget that we are giving away 3 $10 store credits to randomly chosen commenters! Make sure to leave comments at all stops on our hop! Thanks for stopping by and enjoy the rest of our hop today! We can't WAIT to hear how excited you are about our new Mini Pinwheel Die! Mini pins!! Yay. I an so glad. Another must have!! That is really cute!! I love that banner!! I love this small pinwheel and it's on top of my whishinglist already. It's great that you're selling the dies now individually! Love the little pinwheel!!! You banner is super fun and cute!! The banner is just so lovely. Just love the pinwheel. So excited for the mini pinwheel! 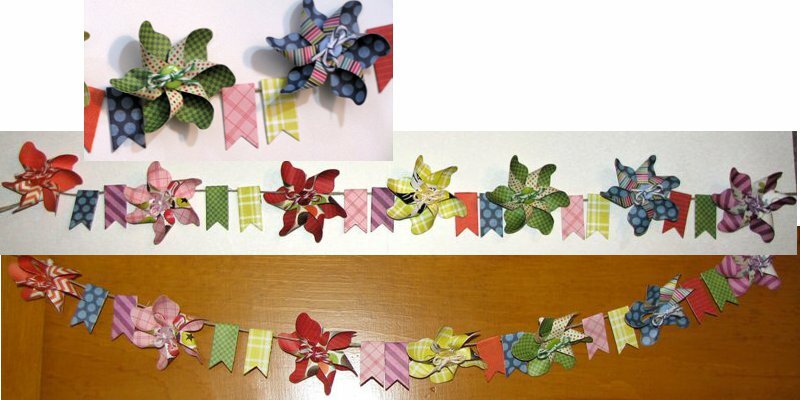 I can't tell you the number of pinwheels I made since I received my dies a couple of weeks ago - now I need this one!! Yay! 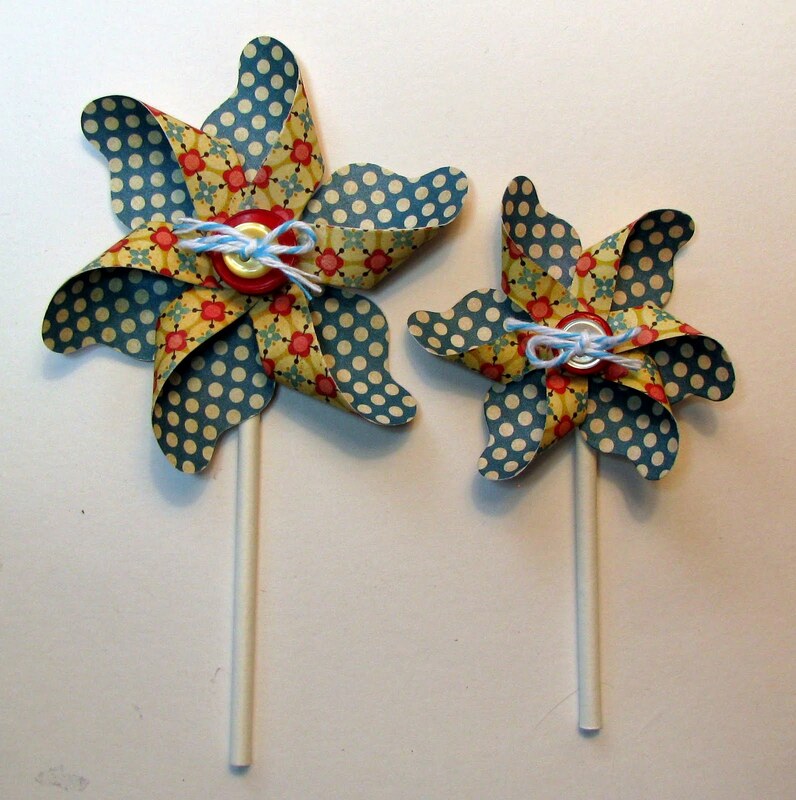 for the mini pinwheel! I love my original size and can't wait to get this one too!! Gorgeous banner, Laura! Love, love, love! I love this smaller pinwheel and your banner project is just awesome! Love the mini pinwheel banner. The die is just such a smart idea. AWESOME banner! What a creative way to use these dies!!!! LOVE all of the different colors and patterned papers you used! What a cool die! LOVE the pinwheels! Your banner is very very cute! OOOOOOOHHHHHHH my how cute! I want one! I am sOOO glad I didn"t do a banner! It wouldn't compare to yours.... Love it! That is so cute. Thank you so much for sharing your project. I love that you put the pinwheels on a banner- good idea! what fun! i can see a lot of cute projects coming from this! thanks for sharing your ideas. This is a spectacular product and you've got a stunning project to showcase it! 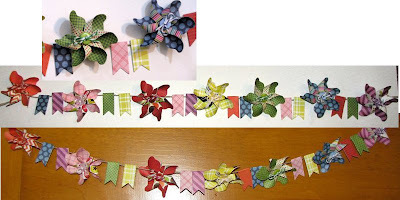 These are adorable, and your bunting idea is brilliant! I can see it in so many different variations for all the seasons! what a wonderful new die and such possibilities-- love the inventiveness. what a fun hop. The DT is great. So fun and festive, Laura!! 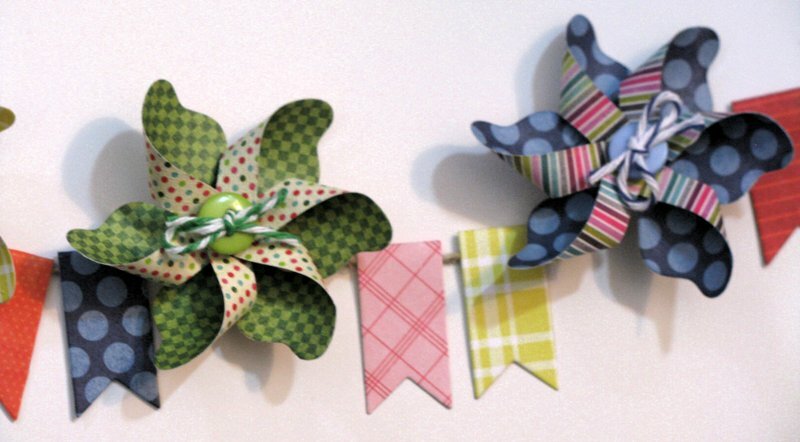 Love the flags in between the cute pinwheels!